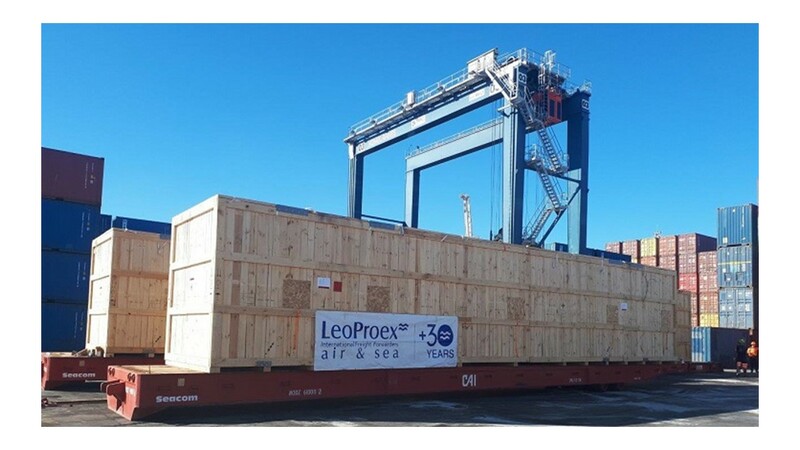 The last successful shipment managed by LEOPROEX Barcelona, member of Africa Logistics Network representing Spain. The shipment contained 3 water pumps measuring 17 x 3.5 x 3.5 meters; the heaviest one weighed 65 tons with gravity center decentered. Due to the de-centered gravity center, Air & Sea LeoProex required 2 cranes for safe balance of the load at each step of handling. The timing of shipment was another critical point, as the job required completion of all movements within 48 hours to move the pieces from supplier factory to port of loading (750 Km by road). The project was completed on time, on budget, and client completely satisfied. LEOPROEX project cargo business has the necessary assets in order to offer the best solution to each request; we have successfully managed several challenging projects comprising overseas consignments to and from Spain as Rail, Aeronautics, Oil & Gas, Building, Factory Relocation, Industrial / Agricultural Machinery, Engineering. We are specialized in Break Bulk, Heavy Lift, RORO, XXL Cargo.